About a year ago I was standing in front of the mirror when I screamed. My belly knotted and a fine shiver wracked my limbs. 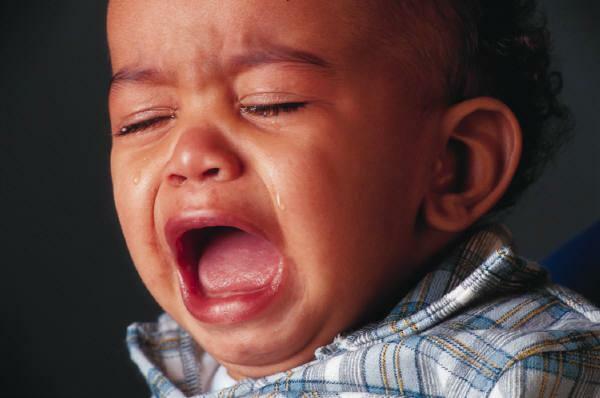 I remember seeing a sheen of tears in my eyes. What could cause such a reaction? I thought I saw a wrinkle. I related this story to a family member and she said, “Well, you’re getting older. It’s gonna happen.” I could almost see a man with an oiled bare chest ring a gong. For now at least, there aren’t any wrinkles. When did it happen? Where did the time go? It seemed only yesterday I was sixteen years old. Now forty is coming sooner than expected. I think I’m one of millions who want to avoid that. I have to remind myself that getting older is a privilege when taking into account how many children die each year. This ‘forever young’ attitude is reflected in Hollywood as various celebrities stave off old age for as long as possible. Face lifts, tummy tucks, nose jobs, collagen injections and so forth and so on. Anything to remain young. Whenever I get freaked out reflective on getting older, I think of Sarai, Abram’s wife. At seventy-five years old, she had men who wanted her because she was considered very beautiful. I think of John the Baptist’s mother Elizabeth, who gave birth to him in her old age. I think of Caleb who was eighty five years old and still retained his strength to take his blessing. I think of Moses who lived to be 120 years old and retained his sight and vigor. There are some of the select few of ‘old’ people in the Bible. Perhaps their bones may have creaked and popped. Maybe they had to get a servant to get the cramps out of their legs. Who knows? But getting older wasn’t a problem for them. Here to help us unpack this topic is Kathy Nickerson. Feel free to call and ask questions of our guests. You can call in at 646-595-2083 press 1 and you’ll be live on air. Or, you can listen to use live via the web by clicking the link here: http://tobtr.com/s/5808147 Or, you can download the WLUV Radio app on your mobile device and listen to us that way. There are all kinds of ways to connect so join us. If there’s nothing that gets people talking about Christianity in a derogatory manner (other than God, Jesus, the Devil, hell, heaven, angels, demons, and so on and so forth) it’s the thousands of denominations within its exalted realm of truth that can really get a conversation going. From Catholicism, Protestantism, Eastern Orthodoxy — what I would consider the main three divisions of Christianity though I’m sure there are those out there who would know better than I, we have various denominations that call one of these three categories their ‘parent’ in some form or another. As a matter of fact, mainstream Christian publishers frown on the use of denominations in books because of the divide, choosing to focus more on core elements of Christianity centered around the work of Christ, the nature of God, the state of man, etc. Yet, these denominations do exist and I think it’s important to talk about them. Our guest contributor, Bridgett Henson is an indie author who has recently published her debut novel, Whatever He Wants. I had the privilege of reading this wonderful work before publication and was enthralled at her realism in this very well done Christian work. For one thing, the characters aren’t holier-than-thou Christians who always go to God for everything. For another, she made a definite use of a denomination in her story, and she does it in a world filled with violence, promiscuity, and the sad state of the human condition. And she is no stranger to being exposed to various denominations herself. 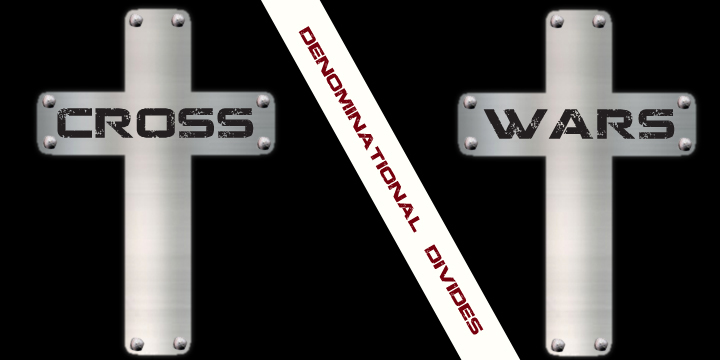 Feel free to call in at 646-595-2083 at 7:00 pm Eastern Time as we talk about Cross Wars–Denominational Divides. There’s something about the emotion of love that pulls at everything inside of us. Love fills us with wonder and drains us of all selfish thought. It soars high in the air, flying on the wings of a mythical bird of light that pierces the dark edges of our souls. A mighty shield against all oppression, it can cut down barriers, heal wounds, and create an unbreakable bond. Literature is littered with this idea of romantic love. The searing all-encompassing feeling of romantic love that connects two people over time and life, even after death according to some. We search for the one person we can call our soul mate. But in the wake of the idea of romantic love, we have divorce and broken relationships. If love is so fantastic, why are we constantly in search of it? Conversely, arranged marriage has a connotation of distaste to it. 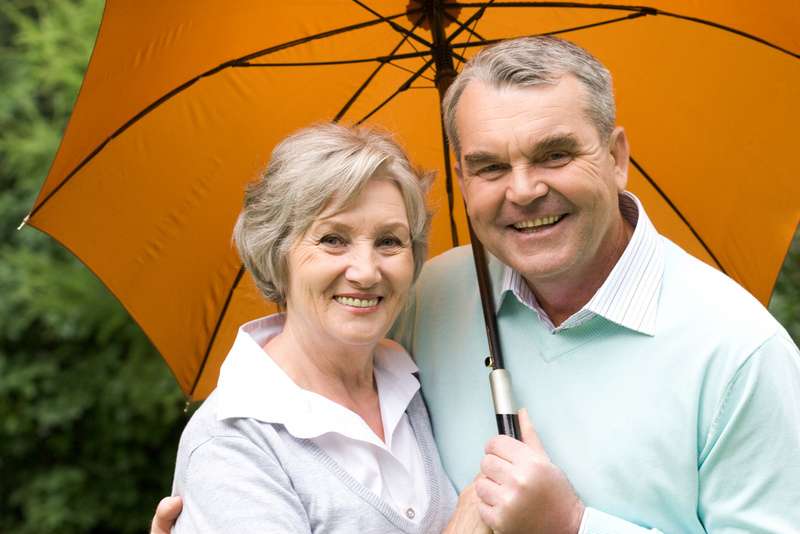 The idea of having your spouse chosen for you bereft of your own involvement or for the sake an external influence (social status, familial honor, etc.) can be repugnant for some. Yet, a lot of marriages of this type are made and it’s been speculated that arranged marriages lasts longer than romantic love. On July 2nd, I will dialogue with Rachel Rassano, author of the indie published book, “Duty” as we discuss romantic love vs. arranged marriage; their pros and cons and biblical references of these two concepts. Also, we will hear an interview between myself and Laurie Alice Eakes as she details her writing career and gives tips and advice for aspiring authors. We’d love to hear from you. Feel free to call in at 6465952083 on July 2nd at 7:00 PM. Eastern Time. To listen in click here: www.blogtalkradio.com/wluvradio. If you’re an author or provide author services, leave a comment and I will draw a random name at the end of the month for you to have a 10 minute spot on our show to showcase your service or your book. If you’d like to be on the show, feel free to email me at writestuffradio@gmail.com. For some reason lately, I’ve been getting a lot of emails asking me for money. I used to get them all the time and then they stopped when I increased the settings on my spam filter. Then I must have signed up for something in the last two weeks. Now the floodgates have been opened for people I’ve never even heard of to ask me for money. “Can I Trust You?” (This is the con subject line of the hook message)Let’s just stop there. Who are you and how did you get my email address? “I write this message to you with a burden and anticipation. My Name is Rasha _____ from Syria .”Unfortunately for Rasha, I’m not well traveled and I get lost in a closet. “Firstly, I am married to Mr Fara _______.A gold merchant who owns a small gold Mine in Burkina Faso . We were married for Eleven years without a child. And he died of Cardiovascular Disease before the uprising in Syria began in mid-March 2011. During his life time he deposited the sum of US$ 11.2m (Eleven million two hundred thousand dollars) in a bank in Ouagadougou the capital city of Burkina Faso in West Africa .”You’d think if a guy had 11.2 million dollars just stored somewhere, he could get a better doctor. “You will take 40 % Percent of the total money While 60% of the money will go to charity and the orphanage homes. I grew up as an Orphan and I want part of the money to go to charity and the orphanage homes. If this money remains unclaimed before or after my death, the bank executives or the government will take the money as unclaimed fund and maybe Use it for selfish and worthless ventures.”Your generosity is astounding…no, really. Unbelievably astounding. “As soon as I receive your reply I shall give to you the contact of the bank in Burkina Faso for the claim. I will also provide to you a copy of the existence of the fund and a letter of authorisation to legally transfer the fund to you as my choice of next of kin. Significantly, if you assure me that you will act accordingly as I stated above.” Since you’re on your way out, I guess telling you to not hold your breath would be…counterproductive. In short, the scam artist person who wrote this…must have thought I was born yesterday. My granny and I were in the drive thru at Church’s chicken one weekend, waiting for our 15 piece mix. Obviously, the chickens were doing battle with the cooks because we’d been there for at least fifteen minutes and hadn’t moved at all. And there’s something about being in the drive thru for fast food where if you don’t have it in five minutes time slows down to a crawl. As we waited, I happened to turn and see a young boy jump over the short brick wall that separated Church’s from the retail store parking lot and land back on his skateboard. My heart caught in my throat and I said a prayer to God to please keep the boy close by. There is a slim chance you will ever find me and a skateboard in the same place, much less find me riding on one. I am at an age where a skateboard is a health hazard. Further, my body no longer bounces back when it falls…it simply breaks once it makes contact with cement. However, in my upcoming new book, Many Strange Women, my male protagonist is a skater who knows all about tricks and techniques on the board and he’s pretty good at doing them too. And how does he know about them? Because I researched what a skater does to get good at his craft. First, I watched hour after hour of skating tricks on YouTube, flabbergasted at what these artists do with their bodies and a narrow deck, balanced on wheels. Flip tricks, grinds, variations of Ollies and so much more… and they don’t fall off! I can walk on a flat surface with rails on either side and still manage to stumble. But for all the hours I spent online, watching and reading about this sport the most information I received was how to do the moves. Back to the Church’s Chicken drive-thru: when I saw the boy perform an Ollie over the wall, my heart jumped in my mouth. I needed to interview him. Ten minutes later, the battle was lost and I set a piping hot bag of chicken on my grandmother’s lap and sped off, turned the car on two wheels and drove into the adjacent parking lot. I saw the boy walking away, his board under his arm, and I burned rubber to reach him before he completely vanished. Thankfully, when he turned around he didn’t run away. He looked to be about 14, long dirty blond locks, nasally deep voice, and a small splatter of freckles across the bridge of his nose that added to his appeal in the odd way of boys in the puberty stage to manhood. There’s only so much research you can do online. After all, you’re safely in front of the computer. But research has to have a physical aspect to it. Part of the research includes interviewing people who do or are performing the job, service, or task you want to explore in your writing. Sure, an online Google or Bing search can give you information on it but in order to bring depth to your characters or realism to a plot, a writer should do actual research. With the advancement of virtual experiences through all sorts of medium, I believe we’ve lost our natural curiosity to explore in the real sense when all we have to do is pull up a search engine and have the computer do all the work. I really liked connecting with the boy, who name is Jay, and other skaters I’ve met in the course of writing the book. And maybe that’s the best part of research you take with you as write…meeting great people with aspects of themselves you can translate into your work. Possibly the greatest form of flattery and thanks. It is a universal fact that anyone can write. You do not have to be trained in any regard to write anything. Fortunately, for we readers out there, we want more than a person who can write. We want someone who can write well. The Write Stuff is a radio show that will discuss issues that pertain to writers. A call-in show, each week we will have a topic we will discuss, provide techniques and resources for writers to hone their craft, writer news, and listen to authors in all stages of the writing process as they share their experiences and stories. There is another universal truth: writers need help. Anyone who helps writers knows this. From editors to marketers, we want to showcase your services as well. Another aspect of our show is that we want to help new authors have a medium to discuss the work they have put their time and effort into. Whether an author is an award-winning maestro with publishers tearing down the door to hand them checks (a nice fantasy) to the new indie author who’s written their first book, we want to showcase you. Starting July 2nd at 7:00 pm Eastern Time. Welcome to the Write Stuff radio show…helping inspirational writers write.